As I’ve mentioned in previous posts, we went to Japan for about 4 weeks three years ago. It certainly isn’t a cheap country to travel in, so for breakfasts, and sometimes even for a small lunch, we would often go to the 7/11. This isn’t as shameful as you may imagine. At lunch time, they were always packed with local business people getting a quick and tasty lunch (7/11 sushi in Japan is better than most sushi restaurants elsewhere! I swear!). 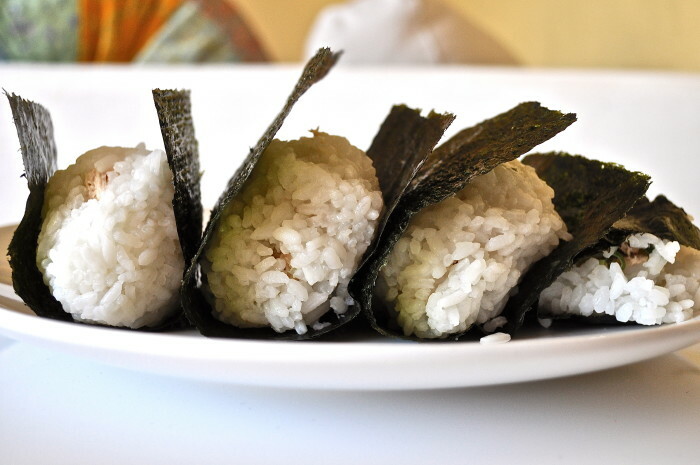 This entry was posted in Appetizer, Asian, Lunch for Work, Rice, Seafood and tagged Onigri, onigri recipe, recipe, Rice balls, Tuna on June 7, 2013 by mysecondbreakfast.